Lock in a great price for Salad Beach Resort – rated 8 by recent guests! I loved the location, amenities, and the room in general! 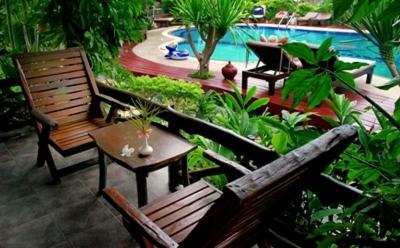 Great breakfast, nice pool, cozy rooms, amazing sundeck! Salad beach is the best location on the island. It's beautiful and remote so the beaches are empty. GO TO JACKS bar it's amazing!!! The room was spacious & comfy for the price paid. Value for money. 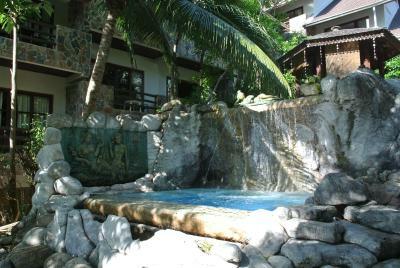 The resort is located at a private beach with few more resorts. The beach here is very clean & beautiful. Good location for snorkeling. Recommend this place for families who would like some private time. Despite this place being far from the main town & the full moon party, they had regular transportation to help you get to the places you wanted to go. It was really well maintained and the property was beautiful! 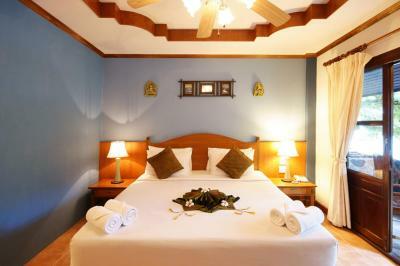 They were accommodating and after some sweet talking, let us stay with our rather large family, in a small room. Even though it was expensive, I appreciated that it included a really great breakfast at a small charge. 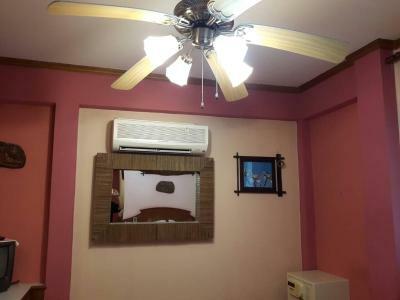 Property is very nice located on a quiet beach. 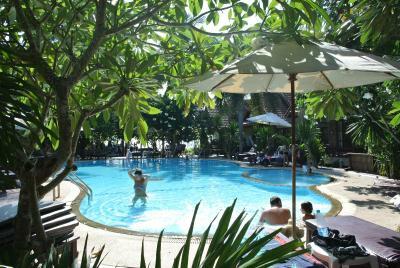 Pool area is very nice as well as the resort grounds. Fantastic breakfast included on the beach front restaurant. Cooked to order omelettes, fruit plates, etc. great beach. Friendly and helpful staff. The beach was great, the pool was clean, the A/C in the room worked well. The restaurant had a nice setup with tables on the beach for dinner. 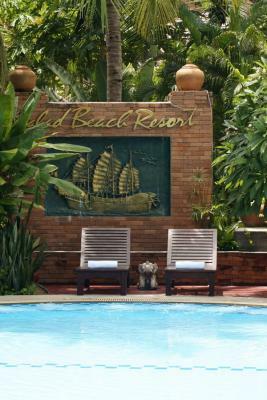 Salad Beach Resort This rating is a reflection of how the property compares to the industry standard when it comes to price, facilities and services available. It's based on a self-evaluation by the property. Use this rating to help choose your stay! 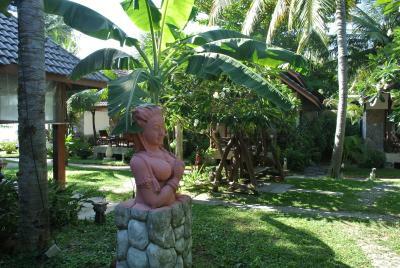 The Koh Phangan’s Salad Beach Resort is on Haad Salad, a 30-minute drive from Thong Sala Port. 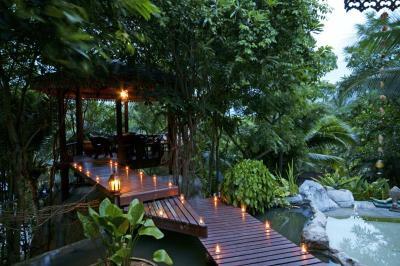 It features a beachfront restaurant, its own diving school and an outdoor pool. Free wireless hotspots are available. 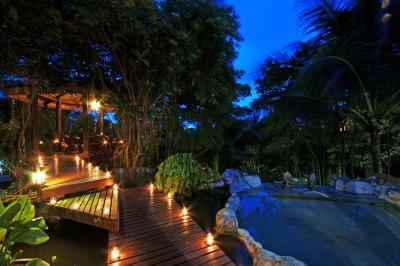 This self-contained resort includes a spa, hot tub, and beauty salon for guests looking for a relaxing visit. 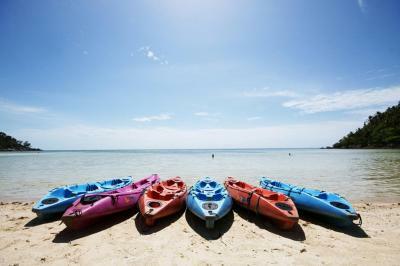 Diving trips, snorkeling and windsurfing can be arranged by the resort’s tour desk. Guests can rent a bike to explore the resort’s natural surroundings. 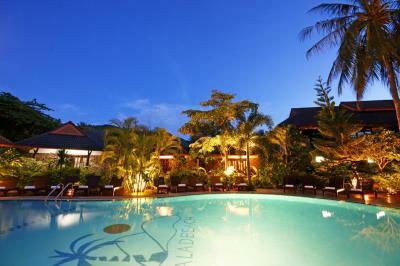 Salad Beach Resort is less than half a mile from Salad Beach and 17 miles from Samui Airport. 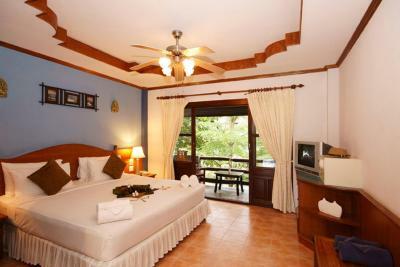 The rooms and bungalows provide a touch of old-world charm. Most come with balconies and an outdoor sitting area. A fridge and safe are available. 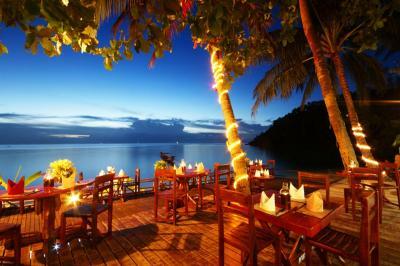 Cuttaleeya Restaurant features panoramic views of the ocean and serves a variety of Thai and Western dishes. Room service is also available. 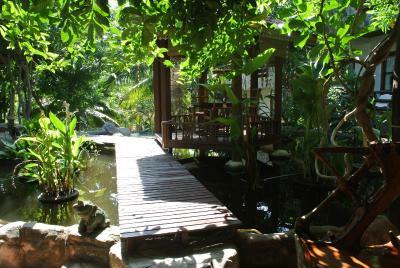 This property also has one of the top-rated locations in Salad Beach! Guests are happier about it compared to other properties in the area. 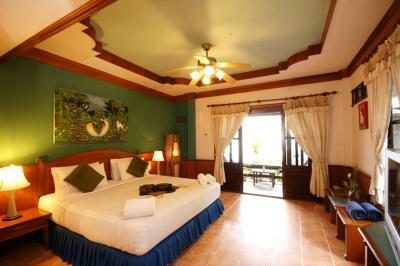 When would you like to stay at Salad Beach Resort? 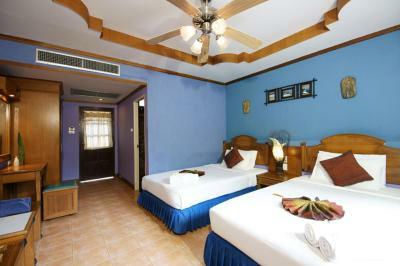 A spacious room for 2 with a balcony and outdoor sitting area. Room has no capacity for an extra bed. Rooms with garden views are a 2-minute walk from the beach. Room has no capacity for extra bed. 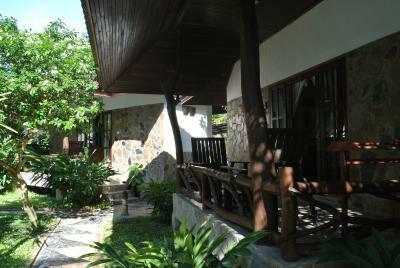 Standalone bungalows are located from the main building. Standalone bungalows offer views of the pool. Located just steps away from the beach, restaurant and spa, this beachfront bungalow comes with air conditioning, a safety deposit box and a refrigerator. 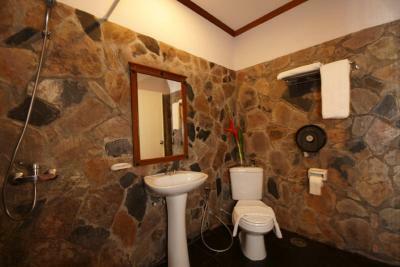 The private bathroom includes hot/cold shower facilities. 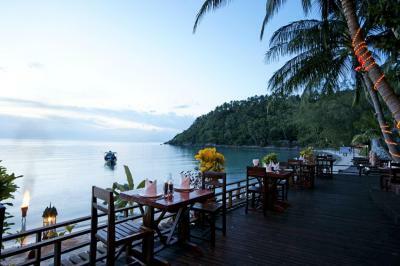 Koh Phangan is the largest in a small archipelago of six islands and lies to the north of Koh Samui in the Gulf of Thailand. This idyllic island is known for its pristine white beaches and its infamous Full Moon Party, which brings party-goers from around the world together to experience one of the biggest beach parties around. 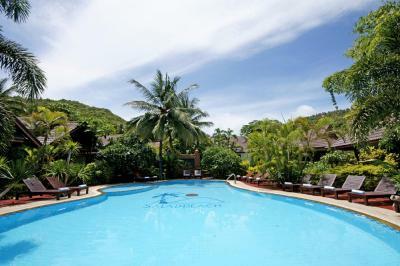 Salad Beach Resort is located on idyllic Haad Salad, a pure white sand beach in a picture perfect bay with all the trappings of tropical island life. 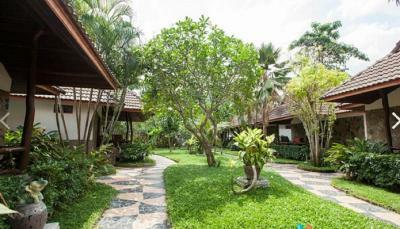 The resort is set amongst beautiful tropical gardens and is right on the beach, harmonizing with the wonderful natural surroundings and making Salad Beach the perfect place to spend your dream holiday. House Rules Salad Beach Resort takes special requests – add in the next step! Salad Beach Resort accepts these cards and reserves the right to temporarily hold an amount prior to arrival. Please inform Salad Beach Resort of your expected arrival time in advance. You can use the Special Requests box when booking, or contact the property directly using the contact details in your confirmation. The buildings and rooms are in fair shape but could do with some touching up. At times it was a bit hectic with children playing in the pool, bit that is to be expexted. 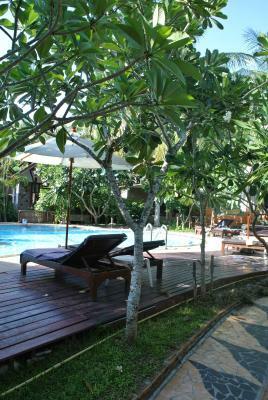 The beach front location (the restaurant and sun chairs), the pool is lovely, the whole garden area so charming. I didn't like that there weren't enough outlets in our room. It was very hard to use our computers if they needed to be plugged in and it was difficult to charge our phones. WE spend one mire night. Personnal was kind. Confort top. We have spend there 11 days. Resort has very beautiful and green area. Stuff was very nice and friendly. Reustourant at resort has very tasty and fresh food, especially fish BBQ. 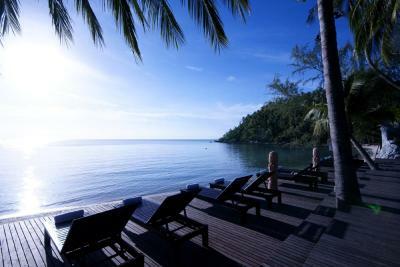 Recomend to everyone who us looking for calm and relax vacation. I came here to chill, go diving and rummage about the island on a moped....I booked 5 nights and liked it so much I booked another 3 nights rather than find another place at Haadd Rin. 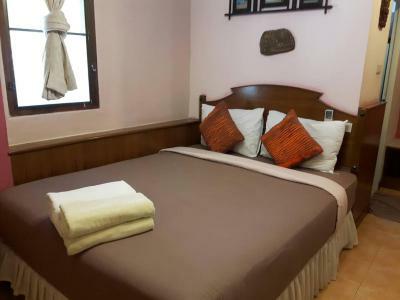 I didn't like my room, as it was near the pool pump and moped parking and not perfect for after lunch snoozing 😁 and the duty manager laughed, said he guite undestood and moved me to the quietest bungalow available.....ideal result. Pirate dive centre is next door and they were spot on for a novice.....no worries moped hire through the hotel...... The resteraunt is good with a decent buffet breakfast for all tastes and proper brewed coffee....I was usually in there by 7.30am... rarely out before 9.30....stuffed to the brim, most mornings I used it as an office🤔. Yup...still got to do a little work and the WiFi was fine. 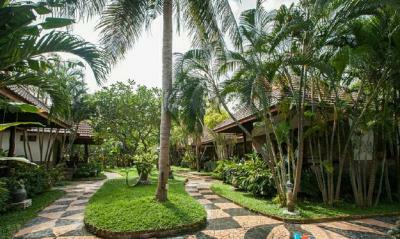 It's right on a quiet and sandy beach with good snorkeling and shallow for the Kids. There is a pagoda where I had two full Thai massage a week apart and loved every minute, really got the girls giggling when I kept snorting like a pig when she hit a tickly bit!!! After dark there are several half decent places to eat along the beach but that best Thai food at great prices is Yings kitchen near the crossroads, a lovely family run place that I ate at loads, big smiles all round. HAPPY TO BOOK HERE AGAIN SOME DAY. Management needs to invest some money to improve the standard of the resort. 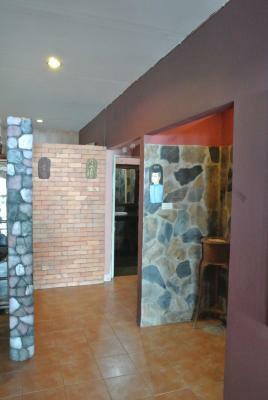 More staff at reception and restaurant area. Definitely Refurbishment at : restaurant and bathrooms, Room mattress , room bathrooms, sheets, and towels Avoid plastic chairs and tables on the beach A bar is missing Overall the resort is nice but with some investment you can improve the quality to be a Good resort . 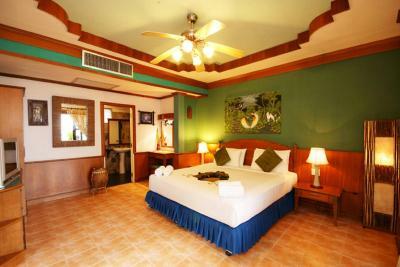 Good and comfortable resort with a quiet and nice beach. We didn't like the room that was dedicated to Booking.com. We book a double standard room. It was not satisfying. To small, and not comfortable. We had to upgrade. Serious problem to flush the toilets. They had only one standard room and that was for Booking.com😫 Bad smell in rooms. The pillows smell bad. Breakfast was good with all we needed. 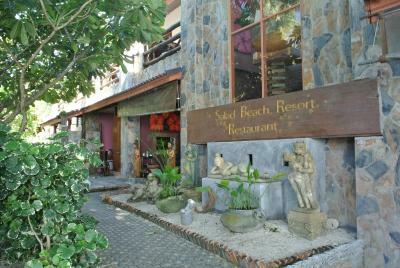 Friendly staff, beach was wonderful.